Horns is a film that stars Harry Potter's Daniel Radcliffe. He is a man who is never charged for his girlfriend's death, yet the town believes he did it. Subsequently, he grows a pair of horns on his head! 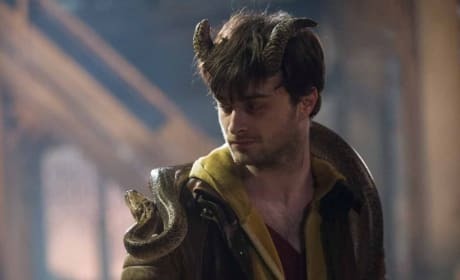 Horns DVD Review: Daniel Radcliffe Does the Devil! 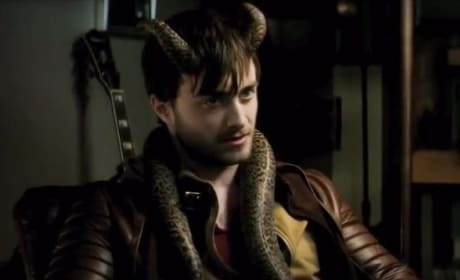 Horns allows us to see Daniel Radcliffe as we've never seen him before -- he's downright devilish. Horns is out now on DVD, is it worth it? Horns Photos: Daniel Radcliffe Looks Horrific! The latest photos from Horns has Daniel Radcliffe unlike you have ever seen him before. Honestly, Radcliffe looks very much like the devil himself. 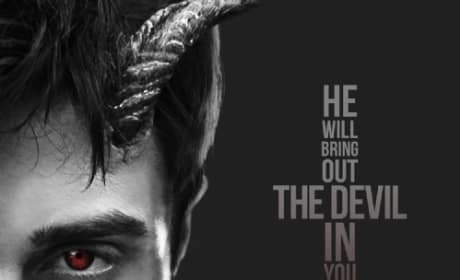 Horns Trailer & Poster: The Devil Has Claimed Daniel Radcliffe! The Horns international trailer is here! Is Daniel Radcliffe capable of murder, and is he the devil? 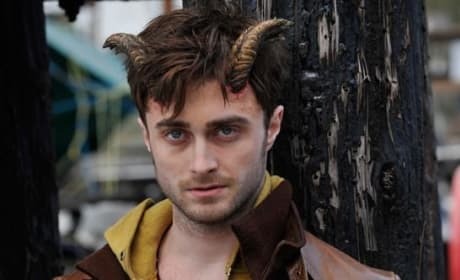 With the latest Horns character posters, it appears that Daniel Radcliffe is the devil. The Juno Temple Horns character poster doesn't paint her so innocently either! The full Horns trailer is here! Daniel Radcliffe plays a man who is accused of killing his girlfriend, and the fact that he has grown devil horns does not help! 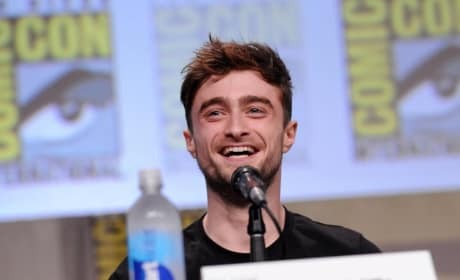 Horns star Daniel Radcliffe came to his first Comic-Con and we caught up with him to chat his new flick and more! Radcliffe even dished dressing up as Spider-Man and walking the Comic-Con floor! 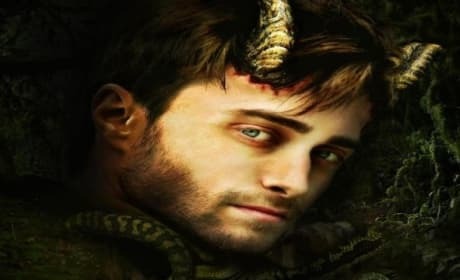 Horns Trailer & Poster: Is Daniel Radcliffe the Devil? The first Horns trailer, starring Daniel Radcliffe, is here. Radcliffe stars as a man who is accused of murder who awakes one day with devilish horns growing from his head. Horns Photos: Is Daniel Radcliffe Horny? Three new photos from Horns features Daniel Radcliffe as you've never seen him before. 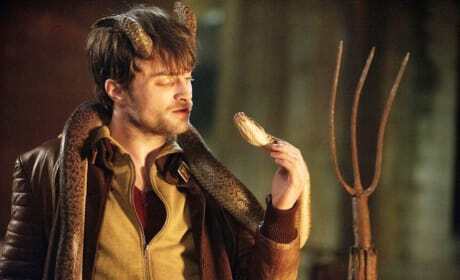 Radcliffe grows a pair of Horns when his girlfriend is murdered. Daniel Radcliffe stars in Horns and judging by the film's first photo, he has grown a pair. 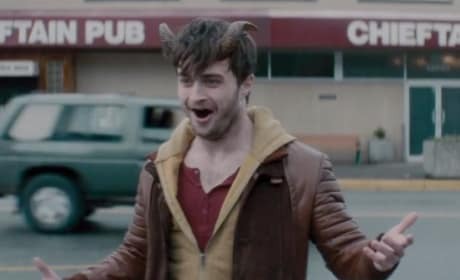 Radcliffe plays a man who is suspected to be the killer of his girlfriend -- especially when those horns grow in! Horns stars Daniel Radcliffe as a man who is thought to have killed his girlfriend (Juno Temple). When he grows horns like the devil, that does not help things.